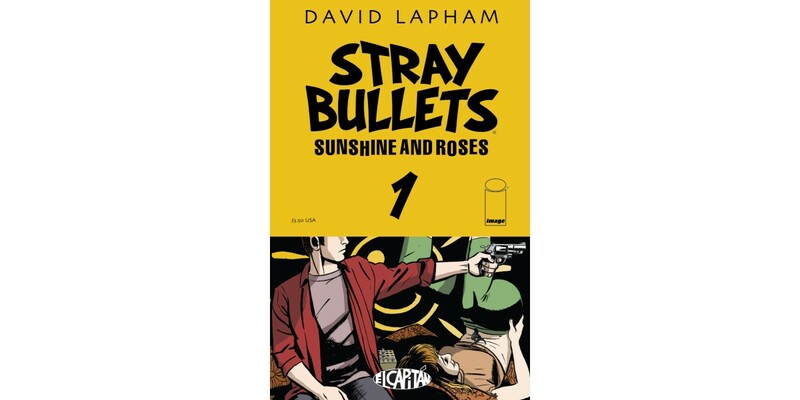 Award-winning creator David Lapham begins an all-new story arc in the cult classic series STRAY BULLETS with SUNSHINE & ROSES. The new story will center around violence, love, and the bad decisions made when characters find themselves in over their heads and ensnared in seedy, illegal dealings. The new arc launches on January 21 and follows up the staggering return to form by Lapham in STRAY BULLETS: KILLERS. In STRAY BULLETS: SUNSHINE & ROSES, the Baltimore underworld is falling apart at the seams and blood has been spilt. Where and when things went to hell in a handbasket can be traced back to a time a few years earlier, when a man named Harry ran the city, Spanish Scott and Monster enforced the rules, and an insecure young man name Orson met a wild and crazy girl named Beth. The two together cooked up the boldest, most outlandish, and just about the stupidest plan ever devised—a plan to steal a whole lot of Harry’s money and drugs and exact a little revenge along the way. STRAY BULLETS: SUNSHINE & ROSES #1 (Diamond Code NOV140580) arrives in stores this 1/21 and will be available for $3.50.